Jump Force (Xbox One). The lines that separate our world from the JUMP world have been blurred, with evil forces spilling into the real world to rule over humanity. New & Sealed. When will my order be dispatched?. Technology, stunning visuals depict the next generation of World Warriors in unprecedented. around the V-Gauge and EX Gauge, provide an unprecedented layer of strategy and depth to the. be unified into a single player pool, allowing for even more rivalries to be born. Factory Sealed. characters including Scorpion and Sub-Zero, while introducing new challengers. Developed by award-winning NetherRealm Studios, Mortal Kombat 11 will introduce a new cinematic story continuing the epic saga that is more than 25 years in the making. Order Now for Shao Kahn Character. 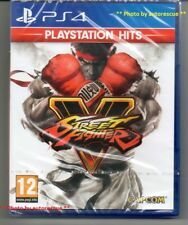 Tekken 7 PS4 NEW SEALED DISPATCHING TODAY ALL ORDERS PLACED BY 2 P.M. Discover the epic showdown of the Mishima clan and unravel the reasons behind each step of their ceaseless fight. Love, Revenge, Pride. Everyone has a reason to fight. Values are what define us and make us human, regardless of our strengths and weaknesses. 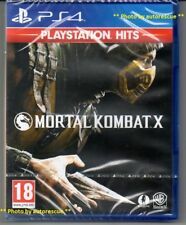 Mortal Kombat 11 Premium Edition (PS4) - With exclusive Steelbook! Exclusive Steelbook. Mortal Kombat 11 Premium Edition includes 7 exclusive character skins. Seven months have passed since a deadly virus hit New York City and the rest of the world, crippling the population. Since then, Division agents have been fighting relentlessly to save what remains. 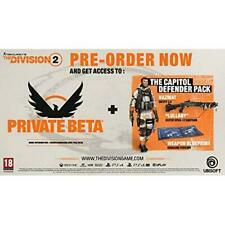 ;For The Division, the stakes are higher than ever. L.A. Noire Nintendo Switch NEW DISPATCH TODAY ALL ORDERS BY 2 P.M.
L.A. Noire Nintendo Switch. USA ACCOUNT MAY BE REQUIRED TO ACCESS DOWNLOAD CONTENT. 4.5 out of 5 stars - L.A. Noire Nintendo Switch NEW DISPATCH TODAY ALL ORDERS BY 2 P.M.
8 product ratings8 product ratings - L.A. Noire Nintendo Switch NEW DISPATCH TODAY ALL ORDERS BY 2 P.M.
XBOX ONE CONSOLES. XBOX ONE ACCESSORIES. M.I.S.T. : a new organization that carries on the advanced biotechnology of DOATEC. Under this new organization, Project Alpha, which used the DNA of Kasumi, kunoichi and a successor of the legendary Mugen Tenshin ninja clan, was moving forward into its next sinister phase. Featuring over one-thousand cards & 350 DRAGON BALL characters from multiple series, including DRAGON BALL SUPER, DRAGON BALL Xenoverse 2, and DRAGON BALL FighterZ. Includes DRAGON BALL characters from different series, including DRAGON BALL SUPER, DRAGON BALL Xenoverse 2, and DRAGON BALL FighterZ. Endless possibilities to adorn the fighters for any occasion. DEAD OR ALIVE 5 Last Round will take the signature DOA fighting style to the ring, wrapped up in the. The combatants in DEAD OR ALIVE 5 Last Round will present an unparalleled level of life-like detail. Dead or Alive Xtreme 3 Scarlet Nintendo Switch Brand new and ready to ship !! Supports 3D sport gaming from Dead or Alive series. Take on a vacation where you can have fun-fight on the south island. Various activities await you there! Build teamwork in beach volleyball, compete in a race to retrieve beach flags and rock climbing. Super Smash Bros. Very rarely used by a responsible Adult. Mortal Kombat is back and better than ever in the next evolution of the iconic franchise. 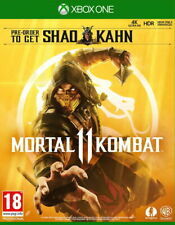 Mortal Kombat 11. This is a PREORDER title. The current release date is expected to be 23rd April 2019. Super Smash Bros. Ultimate (Nintendo Switch, 2018). Condition is Like New. TURN MORDOR AGAINST SAURON: Go behind enemy lines and use strategy, cunning or brute force to conquer Sauron's fortresses and turn them against him. 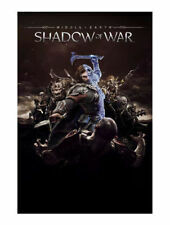 -IN MIDDLE-EARTH: SHADOW OF WAR, NOTHING WILL BE FORGOTTEN. Injustice 2 (Microsoft Xbox One, 2017). Condition is Very Good. Dispatched with Royal Mail 2nd Class Large Letter. Super Smash Bros. Ultimate (Nintendo Switch, 2018). Condition is Like New. Dispatched with Royal Mail 1st Class Large Letter. Game is hardly played, not my kind of game. GUILTY GEAR Xrd REV 2’s bumper mix of single-player modes, in-depth Dojo. fighter can compete with GUILTY GEAR Xrd REV 2. blistering speed and a diverse mix of wildly flamboyant combat styles. Factory Sealed. 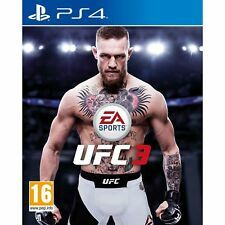 Includes Dragon Ball characters from different series, including Dragon Ball Super, Dragon Ball Xenoverse 2, and Dragon Ball FighterZ. Super Dragon Ball Heroes: World Mission is the latest Dragon Ball experience for the Nintendo Switch. Super Smash Bros. Ultimate (Nintendo Switch, 2018). Condition is New. Dispatched with Royal Mail 2nd Class Signed for. Please pay within 48 hours unless otherwise agreed. Street Fighter 30th Anniversary Collection (Nintendo Switch). Condition is Like New. Dispatched with Royal Mail 1st Class Large Letter. Injustice 2 for Xbox One. Disc is in perfect condition as it’s only been played once. Game manual not included. Injustice 2 for the PS4. Very good Condition. UK delivery only. Condition is Like New. Two months old. Super Smash Bros. Ultimate (Nintendo Switch, 2018). A must have for all Nintendo switch fans. Condition is Like New. Dispatched with Royal Mail 1st Class Large Letter. Super Smash Bros. Ultimate (Nintendo Switch, 2018). Condition is New. Dispatched with Royal Mail 1st Class Large Letter. Super Smash Bros. Ultimate (Nintendo Switch, 2018). Condition is Like New. Dispatched with Royal Mail 1st Class Large Letter. For Windows PC - Steam Key Only. BlazBlue Central Fiction serves as the final chapter in the story of Ragna The Bloodedge and. A massive story mode coupled with. Super Smash Bros Ultimate. Fully Boxed. Fight with upto 8 friends local play. Nearly New. So go on grab yourself a bargain. Super Smash Bros. Ultimate (Nintendo Switch) Brand New Sealed. Condition is New. Dispatched with Royal Mail 1st Class Large Letter. Super Smash Bros. Ultimate Nintendo Switch - superb condition. Experience the most brutal Kombat experience to date with Mortal Kombat X! With multiple variations of each character, you'll be able to find the fighter that. with XBOX Certificate of Authenticity Seal! Super Smash Bros. Ultimate (Nintendo Switch, 2018). Tekken Tag Tournament 2 PS3 Playstation 3 **FREE UK POSTAGE**. Condition is Good. Dispatched with Royal Mail 1st Class Large Letter. Shaq Fu: A Legend Reborn: The world lies on the brink of disaster. As humanity is enslaved, only one man can save us: Shaq Fei Hung. A poor Chinese orphan, trained by a martial arts master, must face his destiny and unleash the power of the sacred Gold Bond.